Pls make sure you understand the touch screen and LCD disassembly procedure before purchase. We only accept return in original condition and strongly recommend customer to test item before installation. 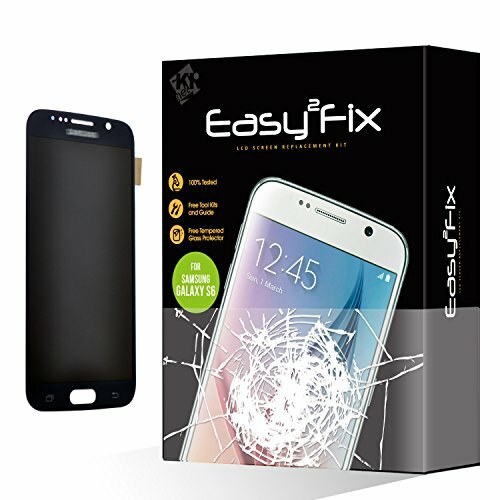 Introducing Easy2Fix LCD Repair Kit, this package includes everything you would need to replace an LCD of Galaxy S6. Free tools set is included. LCD is packed in secure packaging to make sure you don't receive a broken one. LCD and touch screen are pre-assembled, offering easy installation. Start from 0 to 100. Follow our online repair guides and fix like a pro! A free tempered glass screen protector is included to add extra protection to your new LCD screen after installation.